Create sand jars, bottles and 2D art keepsakes and craft projects! 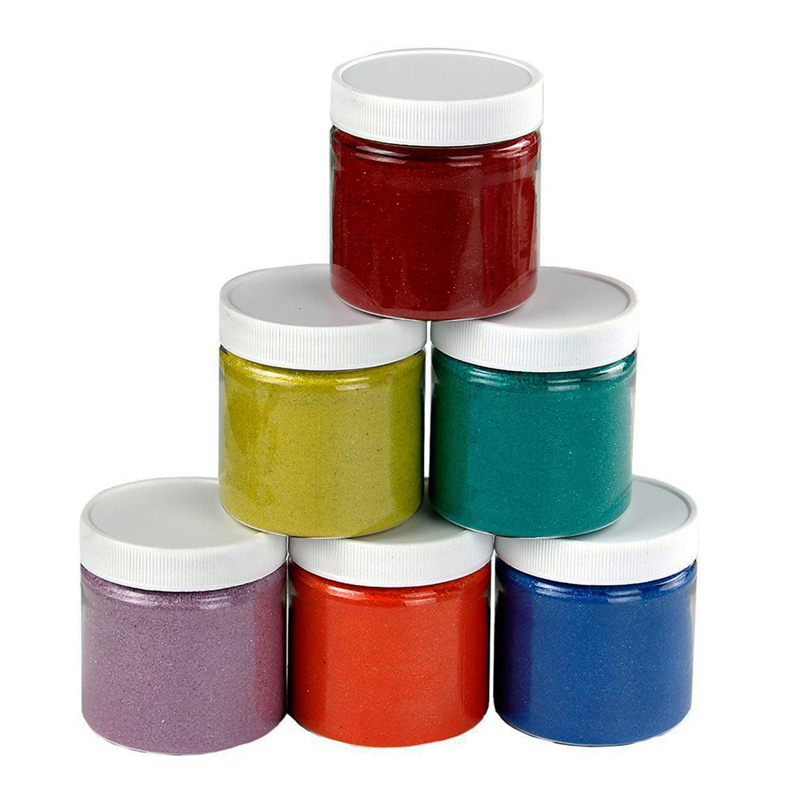 Great for collage surfaces, mosaics and texture activities, too! 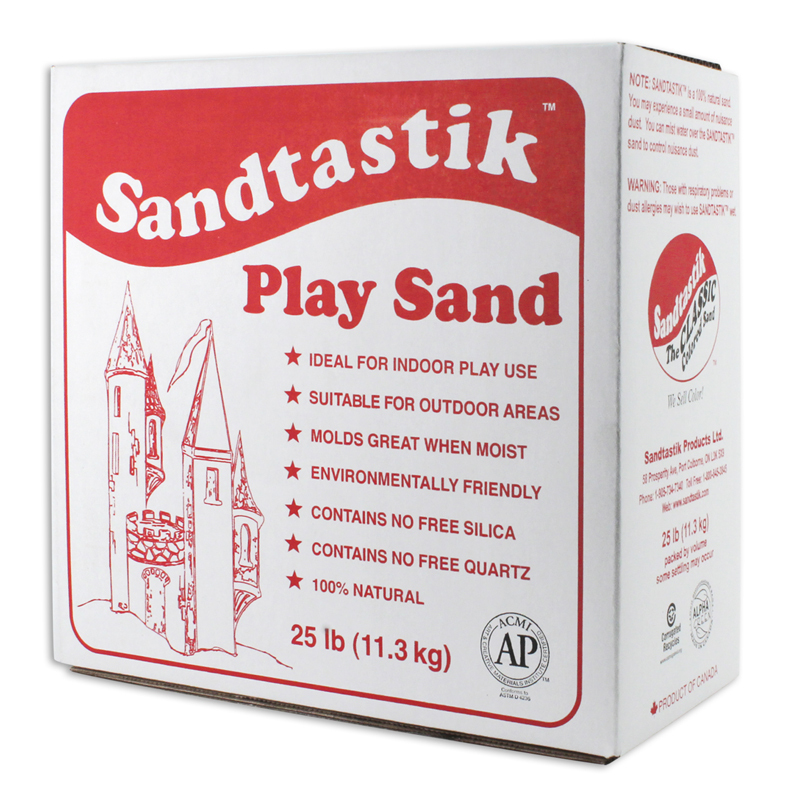 Besides sand crafts, use sand art as a fun teaching tool for tactile learning and more. 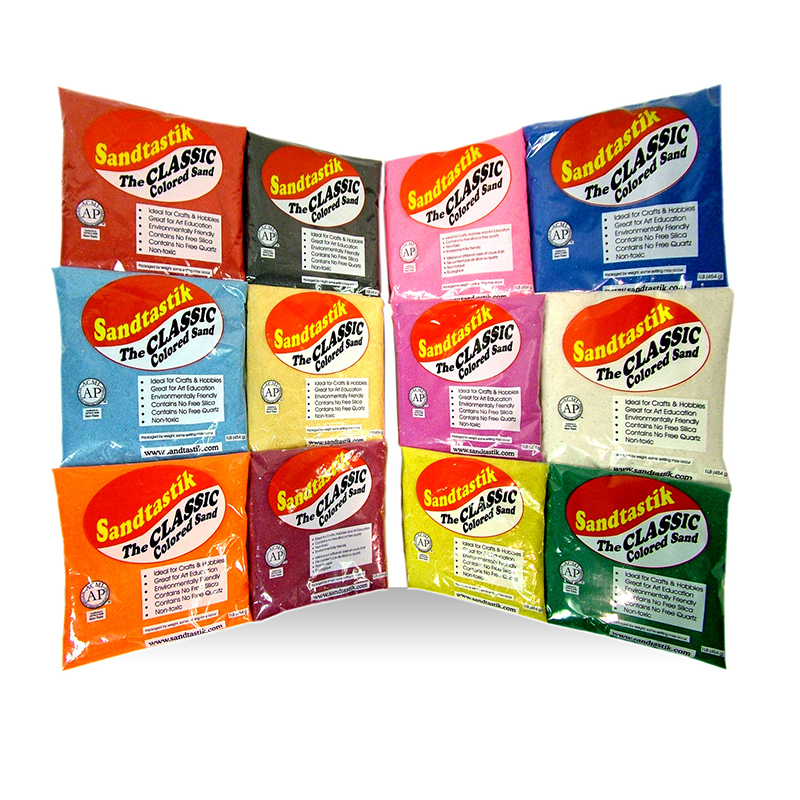 The convenient, re-sealable plastic storage containers provide easy access and prevent messy spills. AP Seal, non-toxic. 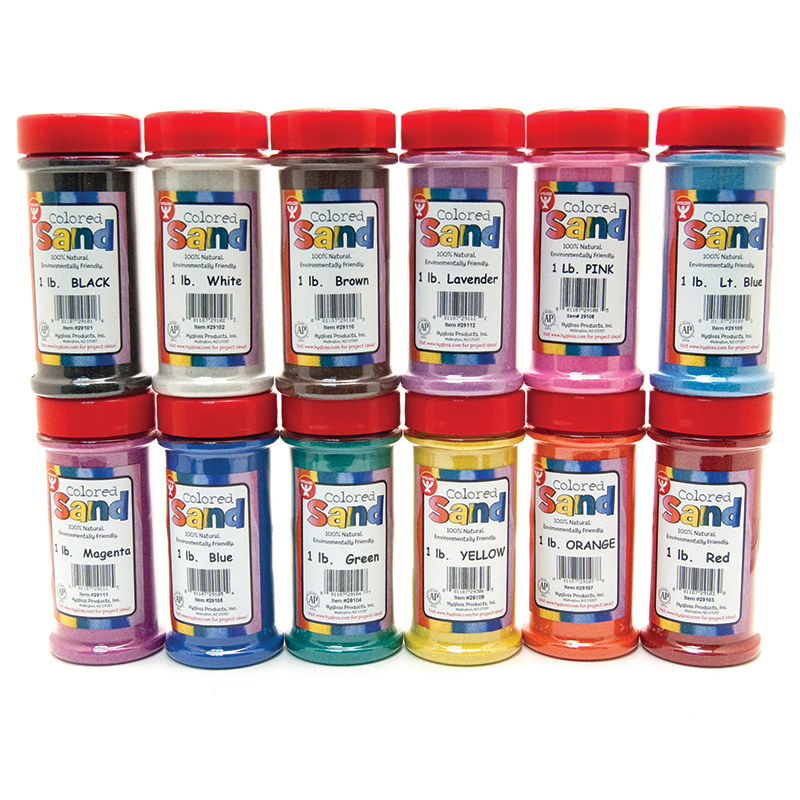 Each pack contains (6) 6-ounce jars of assorted colored sand. 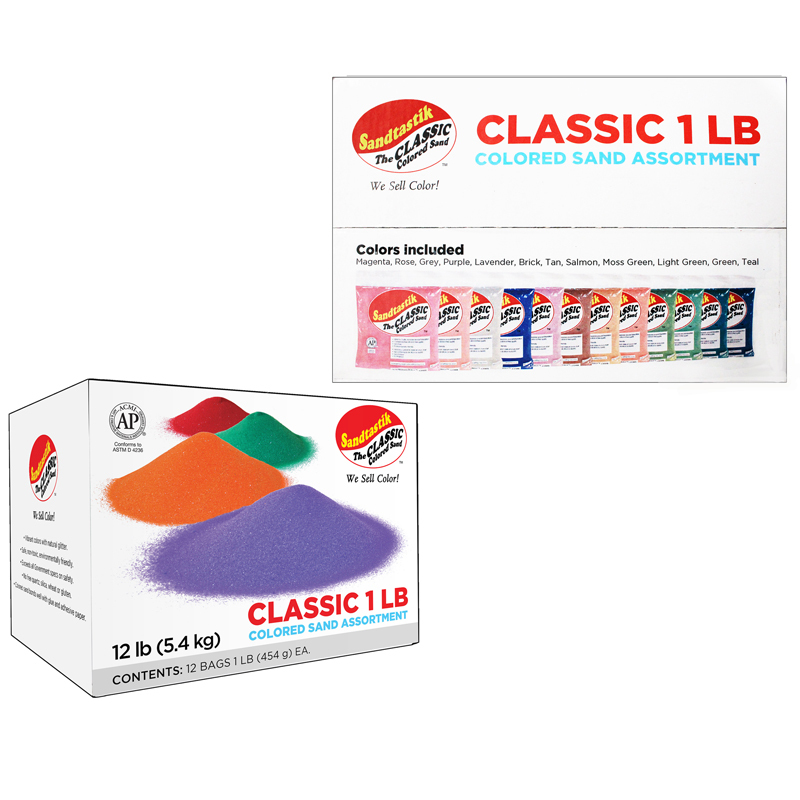 The Colored Sand 6 Asstd Colors 6 Oz can be found in our Sand product category within the Arts & Crafts.